Madewell Looks We Love | Lighten Up. Make the style transition towards fab spring outfits as smooth as possible by taking a few style cues from the Madewell Looks We Love: Ligthen Up. Try your hand at simple and balanced yet ultra classy outfits and upgrade your wardrobe with some of these versatile pieces. Spring is the season of change, whether we are talking about temperature, nature or fashion and beauty. Ditching dark, dramatic tones in favor of lighter hues is one of the most noticeable transitions that occur fashion wise and finding flattering combos is always a bit of a challenge. 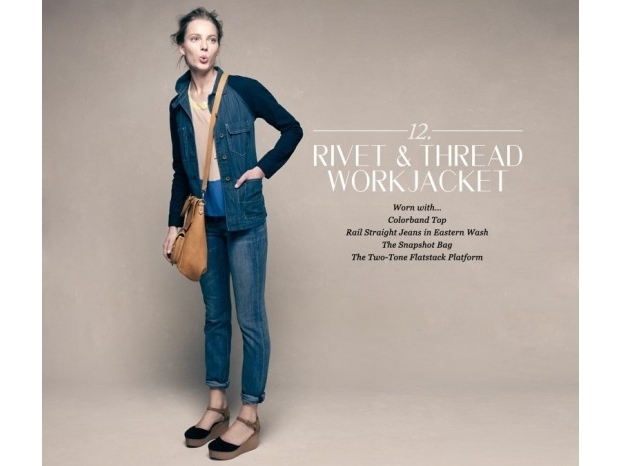 Tackling this precise recurring fashion dilemma Madewell has put together a series of adorable looks to serve as inspiration. With a focus on classy combos with a retro touch, the brand focuses on giving basic pieces a fresh mod vibe and even a touch of sophistication while proving that bold, vivid tones are not the only ones that manage to create interest. Classy pieces joined into simple combos and emphasized with equally discreet yet noticeable accessories prove to be a successful formula for creating demure looks that still manage to tackle some of the mainstream fashion trends of the upcoming months. Denim pieces are an indispensable wardrobe staple and it's absolutely natural to see jeans and other such pieces in the latest lookbook by the brand. With a combination of lighter and darker washes, the brand manages to bring much needed contrast and diversity to casual chic outfits. 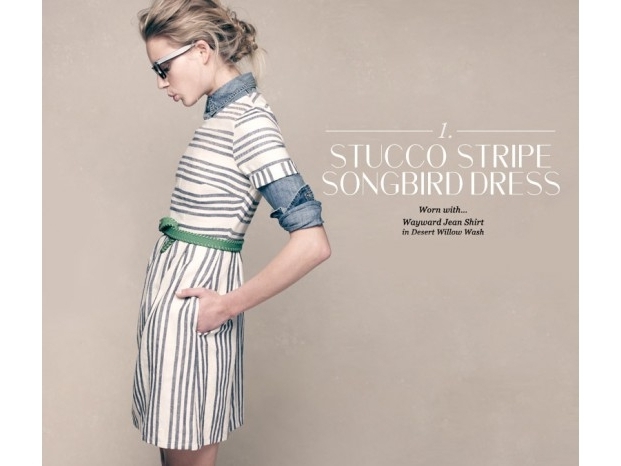 Another constant presence in the spring 2012 trends, striped pieces are also well highlighted. From dresses to shirts, this simple yet exciting motif manages to steal compliments time and time again. Pleats and masculine details like the formal white blouse are also style elements that can prove great outfit enhancers when combined properly. Jackets are extremely useful not only to adjust easier to the varying temperatures, but also to create additional contrast without giving up versatility and functionality. 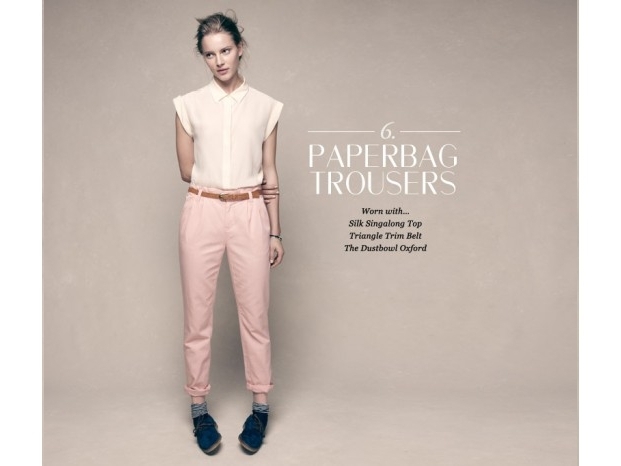 The neutral tones ensure that these can be easily adapted to a myriad of outfit styles. Accessories are in line with the overall vibe of the collection. Spacious handbags, comfy ballet flats and oxfords, suede boots or platform pumps paired with knee high socks or ankle socks, simple belts or retro glasses help create a hip yet ultra classy look instantly.